Cotton was first grown in what is now Mississippi in 1795 in the Spanish-ruled Natchez District as an alternative to tobacco and indigo. Cotton cultivation in the Mississippi Valley previously had been either unsuccessful or unproductive. Despite Eli Whitney’s inventing the modern cotton gin in 1794, cotton remained a marginal crop in the early 1800s, largely because the strains initially used—Creole seed and then Tennessee green seed—provided only mediocre yields. Mississippi growers began using the more productive Mexican seed around 1820, and within a decade Dr. Rush Nutt had developed Petit Gulf cotton, a Mexican–Tennessee green hybrid, on his Rodney plantation. This seed produced the white gold that helped to make Mississippi the nation’s top cotton-producing state. With the high profitability of cotton during the antebellum period came enormous population growth in Mississippi. In 1800 the white population of the Mississippi Territory (the modern states of both Mississippi and Alabama) numbered just over 5,000; sixty years later, Mississippi alone had more than 350,000 white residents. The slave population increased even more—from 3,500 at the turn of the century to 440,000 on the eve of the Civil War. The state reached an important benchmark in 1830, when the number of slaves first surpassed the number of whites. South Carolina is the only other state that ever had a similar demographic. During the antebellum period cotton production spread east from the river valleys along Mississippi’s western border. Cotton became a primary endeavor of settlers throughout the state except along the coast. While regions such as the Pine Belt quickly proved unfavorable for cotton cultivation, the crop’s profitability encouraged settlers to try. The Delta was the last region of the state populated by whites and enslaved blacks, as its impenetrable thickets and canebrakes hindered widespread settlement until after the Civil War. Ironically, however, it proved to be some of the world’s most productive cotton land. 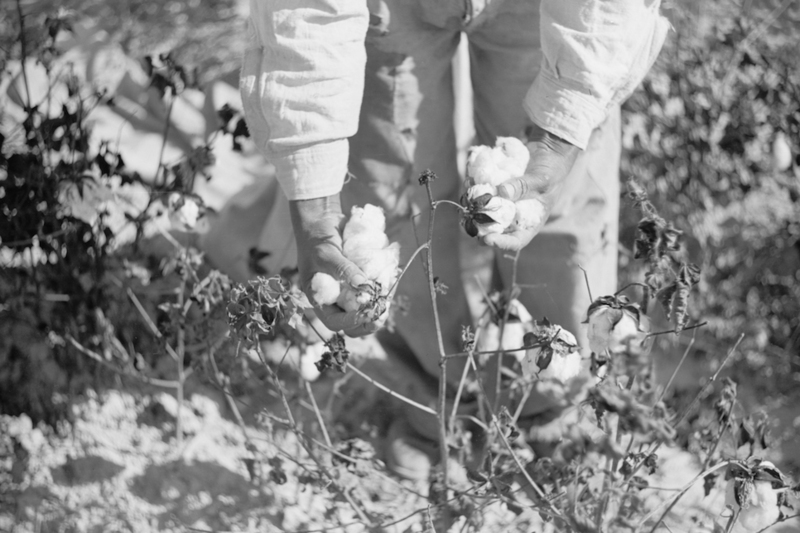 The Civil War devastated Mississippi’s cotton growers. Many farms and plantations lay in physical ruin, and the loss of the slave labor force was even more overwhelming. Without cheap labor, wide-scale cotton cultivation was impossible. 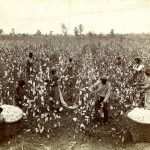 This issue was resolved with the development of the sharecropping system, under which former slaves entered into annual lease contracts with landowners. Poor whites soon began to find themselves in much the same situation when debts resulted in the loss of their small farms. 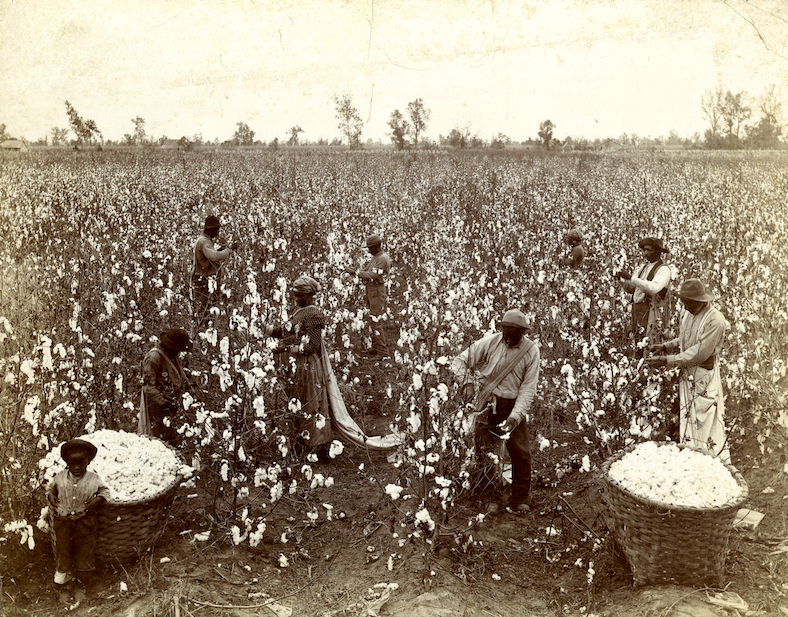 Sharecropping further increased Mississippi’s economic dependence on cotton agriculture. Landlords often demanded that sharecroppers grow almost nothing except cotton. During the first decade of the twentieth century Mississippi’s cotton growers faced a new and potentially devastating problem—the boll weevil. Mississippi agricultural scientists made preemptive efforts to attempt to curtail boll weevil infestation. The Delta Branch Experiment Station was established at Stoneville in Washington County for the sole purpose of developing a way to stop the weevil. The experiment station was run by the Mississippi Agricultural Extension Service, one of the most visible creations of the progressive era in rural Mississippi. During World War I Mississippi cotton growers experienced a boom in international demand as well as prices. Farmers sought to grow as much cotton as possible. With the end of the war, however, cotton prices dropped precipitously and did not increase significantly until 1933. 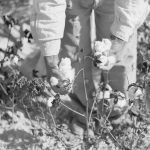 In spite of the poor market and mounting debts, Mississippi farmers continued to focus on growing cotton. By the end of the 1920s, the state’s cotton economy was on the brink of collapse. Nevertheless, the highest recorded acreage planted to cotton was in 1930, at 4.163 million acres. Pres. Franklin Roosevelt took office in 1933 and immediately acted to remedy the agricultural crisis. His most significant move was the creation of the Agricultural Adjustment Administration, which stabilized prices by paying farmers not to grow cotton. However, the program also resulted in the eviction of thousands of sharecroppers because landowners had no need for laborers to work fields that were not planted. The changes in cotton production that developed out of the Great Depression and New Deal accelerated during World War II. The war brought tremendous demands for virtually all products, including cotton. Many former sharecroppers and agricultural laborers left Mississippi and sought employment in northern factories. At the same time, cotton was in high demand. This dichotomy resulted in perhaps the greatest advancement in cotton agricultural technology since Whitney’s cotton gin: the first effective mechanical cotton picker, developed by International Harvester in 1947. Within two decades virtually all of Mississippi’s cotton sharecroppers were gone. During the second half of the twentieth century many Mississippi planters and farmers moved away from cotton production and toward other row crops such as soybeans and corn as well as highly commercialized catfish and poultry operations. Cotton has recently ranked third, behind poultry and forestry, among Mississippi’s leading forms of agriculture. Today, approximately 1.1 million acres are planted to cotton in Mississippi, depending on a number of factors, including weather, price, and commodity markets.